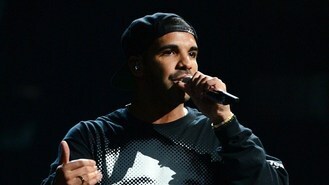 Drake has revealed he is happy being a rapper with heart. The 26-year-old Canadian, who has released his third album Nothing Was The Same, is frequently criticised for being "soft", and shows his sensitive side in songs like Marvin's Room or Find Your Love. "I'm just being me, and part of being me is being in touch with emotion. That's all I write about. If I didn't write about my emotions, I don't know what else I would write about," he admitted. "I'd make songs about generic things that nobody could relate to and I probably wouldn't be in this position that I'm in right now. I'm emotional, yeah, I guess. Let that be the worst thing in my life, please, not something like drug charges and God knows what else. "I don't get myself in trouble, so if the negative feedback that I do get is the worst thing that's going to happen to me, then so be it. I can laugh off a lot of it. Some of it is tiring and exhausting," he added. Drake, who was born Aubrey Drake Graham, dedicated his Grammy Award to his mother Sandi for his last album, Take Care. "My mother is an incredible woman. I talk about her a lot on this album. She's brought me to this point single-handedly. She's the most important person in my life," he gushed. He said that the gong is in her hands. "It's in her kitchen now. One day she's going to put some shelves up in her house and start displaying some stuff," he added. One Direction fans will have something to celebrate, after the group signed a new multi-million pound deal with Simon Cowell's record label, Syco. JLS have revealed that they are "very excited" to unveil their final single, Billion Lights. Arctic Monkeys drummer Matt Helders has claimed that he injured his right hand after punching a wall in a drunken state. Pink has revealed that her daughter Willow doesn't quite share her taste in music. Engelbert Humperdinck has cancelled two shows as he is not fit to perform. Christina Aguilera has revealed her new song will be featured in The Hunger Games: Catching Fire. Sir Elton John has revealed when he tries to play new songs at his concerts it sends all his fans off to the toilet.